We just celebrated Memorial Day and that means summer is here! With summer comes a special need for ice cream in this military family! 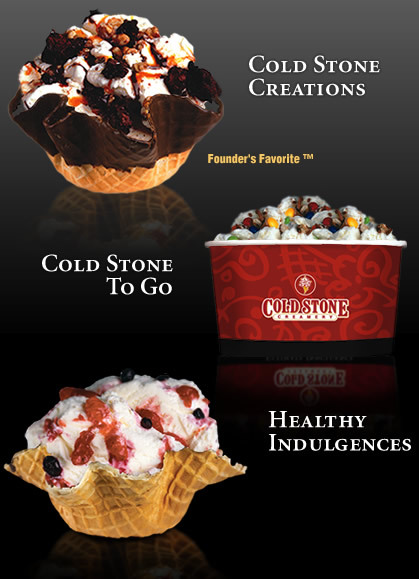 So when the votes were tallied it was easy to understand why we chose Cold Stone Creamery - Point Loma as our Featured Military Reward for June! 15% off your entire order (excluding gift card purchases) when you show your active duty or retired military ID. Cannot be combined with any other offers, discounts or coupons. Their ads can be seen at Point Loma Naval Base, San Diego Naval Base and San Diego Marine Corps Recruit Depot on MilitaryAvenue.com under our Ice Cream Shop category! Have a great summer and enjoy some ice cream and while you do remember our military families that have loved ones in combat zones! Maybe you could even invite them out for an ice cream and share some time with them! They would love it!